Ok I figure most everyone has given their normal non-spoiler review at this point so I’m going all spoilery! I’ve seen Finding Dory twice and am ready to dissect and talk about more subtle messages and meaning behind our watery tale. Do not read this review if you have not seen the movie. 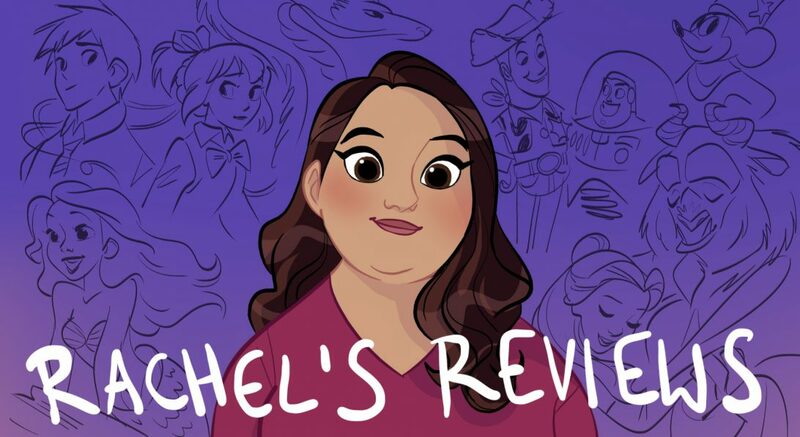 If you want to know my thoughts watch my youtube review which is non-spoilery (I gave it an A, which on a second watch I might move down to A-). Now we get all spoilery. You’ve been warned. There are a lot of ways to enjoy Finding Dory. My first watch-through I loved it as a film about a special needs fish and quite possibly Pixar’s funniest film. It’s right up there with Monsters Inc as Pixar film with the most jokes per square inch of screen time. But as I am want to do I dug deeper at some of the more subtle messages in the film. 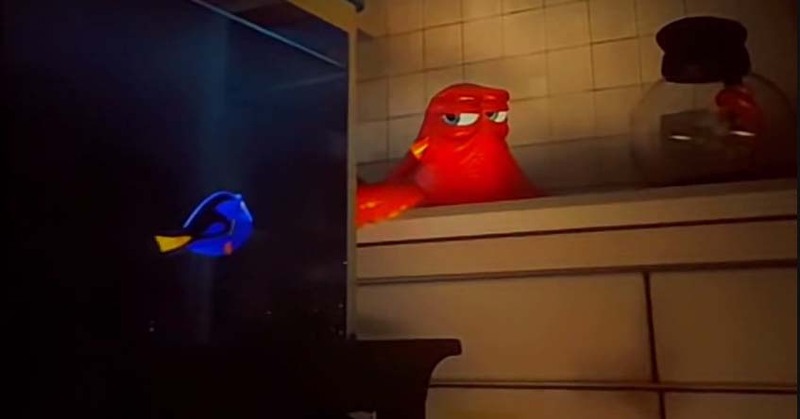 I even pondered on a connection between it and another popular Pixar film that may make Finding Dory more thoughtful than just a silly comedy. 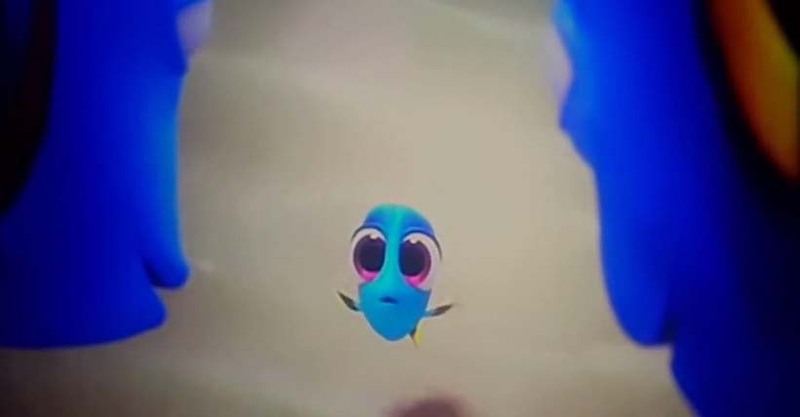 Dory has some flashbacks of her parents and herself as a baby fish. Her parents are warm and nurturing- trying their best to raise their daughter and keep her safe. 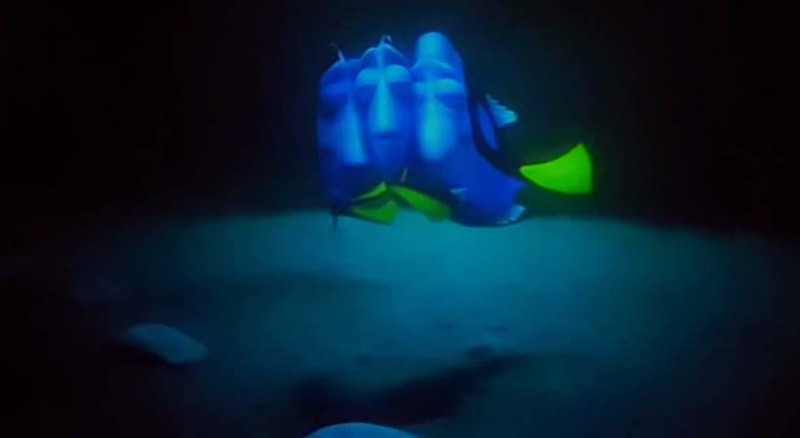 Dory tells Marlin she must go and find her family and to be honest this surprised me at first. Dory has a family for all intensive purposes already with Nemo and Marlin but she feels a need to find her birth family anyway. With what we see later on in the film I wonder if as soon as she thought of them she was immediately struck with a sense of worry for her family and that is the reason she must hunt them down? 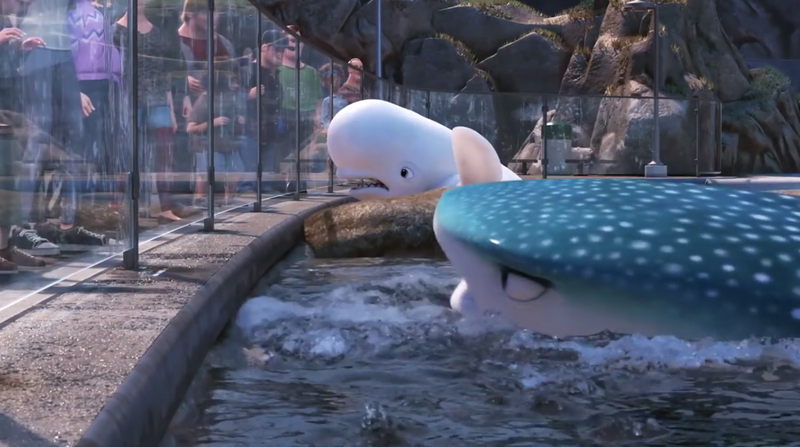 We get a nice little visit from Crush which is basically the only real speaking part of Finding Dory from Finding Nemo. A lot of people were disappointed by that but I was glad they gave us new characters. 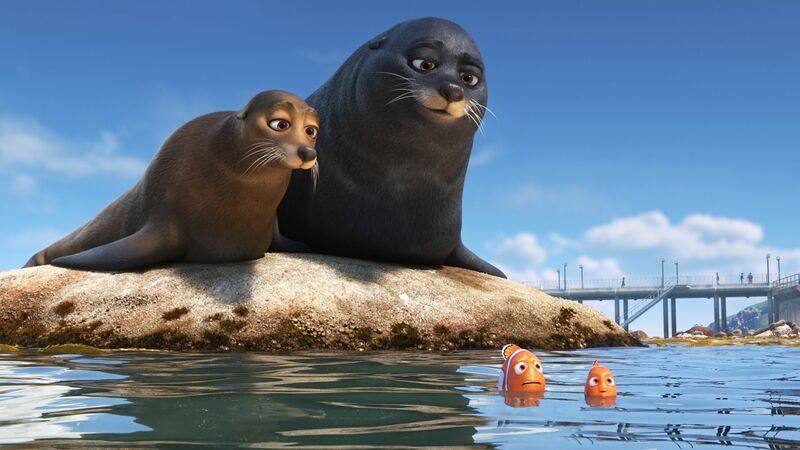 One of the things the film does well is it forgoes the linear storytelling of Nemo in return for a more bumpy narrative. What I mean by that is instead of having one goal and then Marlin finding a friend to carry him through that goal as in Finding Nemo, in Finding Dory, Dory is often alone and confused with what to do. Then she meets one character who helps her a little bit and then another and another. Again, I think there could be a subtle meaning in all of these characters that one solitary companion wouldn’t have shown. So with Crush’s help they get to California and are at the Marine Life Institute. This is where we get into the meat of my analysis. The first thing that struck me is how polluted the water around the institute is. Dory even gets stuck in a 6 pack can plastic holder. Isn’t that strange that the water by a marine life institute which supposedly focuses on conservation and saving fish would be so polluted? If we look at the water it looks dirty and gross. Then there are two unique things about the Marine Life Institute that stand out. First, the voice of Sigourney Weaver welcomes visitors to the institute. She says “welcome to the Marine Life Institute where we believe in rescue, rehabilitation and release”. There’s a lot of fishy (pun intended) things going on with this statement and institute but the biggest is where do we also hear Sigourney Weaver’s voice in a Pixar film? 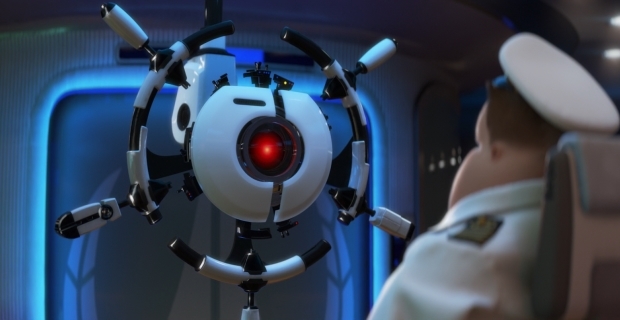 Why she is the voice of the Axiom computer in WALLE! Now tell me there is not a double meaning behind that! I can see some of that same behavior here in Finding Dory. If we think about the largest building at the institute has Quarantine written right on the side. What happens at quarantine? Not really catch and release like they say. 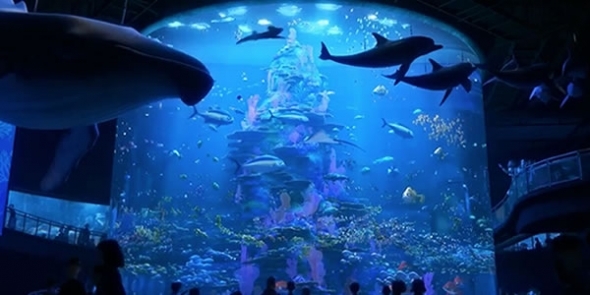 The fish are imprisoned in aquariums and sent off to Cleveland where guess what there is no ocean! And not only that but what have they succeeded to do? They have convinced Hank, our sentipus friend that he desperately needs to go to Cleveland and that the open water is a bad place. It doesn’t sound like the kind of place that is living up to their mission statement! Also, why is Hank missing a tentacle? That seems a little suspect too. I think at the very least the Marine Life Institute is a sham! They aren’t releasing fish back into the ocean. In fact, I don’t know if they are even rehabilitating them at all. Think about Dory. She is taken from the water, given a tag and immediately going to be sent off to Cleveland. That seems strange! There doesn’t seem to be anything happening in quarantine but people overly concerned about the missing octopus, making coffee and coordinating the trip to Cleveland. 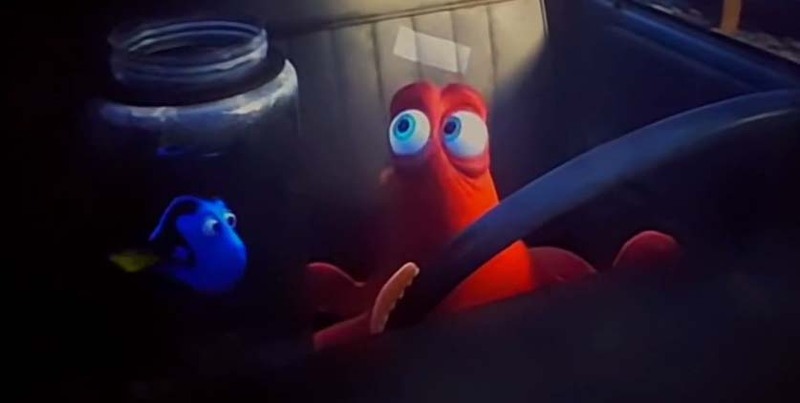 When Dory has to convince Hank to leave the truck it reminded me a lot of Woody talking to Jesse in Toy Story 2. She has been manipulated to accept a life of imprisonment by Stinky Pete. Woody tells her ‘wouldn’t you give anything to be played with by Emily once again?’. It’s a similar speech from Dory. Yes, the ending is very silly with an octopus driving a truck but it has a new tension to it when you see it as a desperate escape from a compound! We also have Destiny and Bailey who are interesting characters. They are very sweet and funny but they clearly are not being rehabilitated by the institute. In fact, they are just as convinced of their frailties as Hank. Is that not what Axiom would do? It’s Axiom’s voice telling them they are ok and cared for rather than it actually being true. Here’s an idea that will blow your mind. 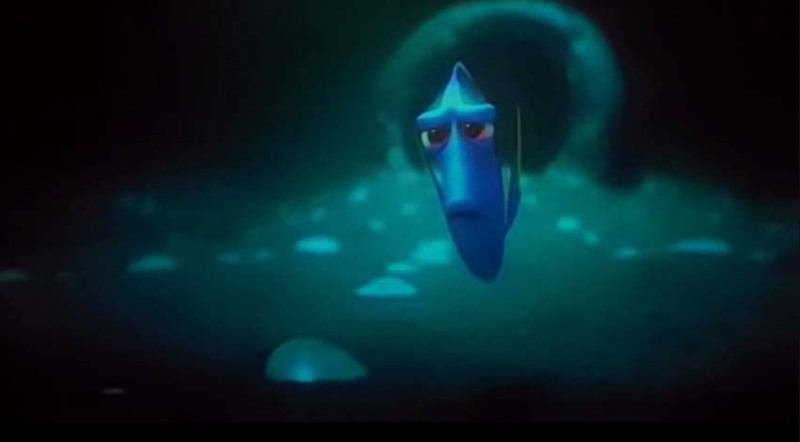 What if it is the pollution and treatment by Axiom that caused Dory to lose her memory? I mean short-term memory loss doesn’t happen every day and it makes sense when you think about Axiom. What better way to control subjects than to make them lose their memory? 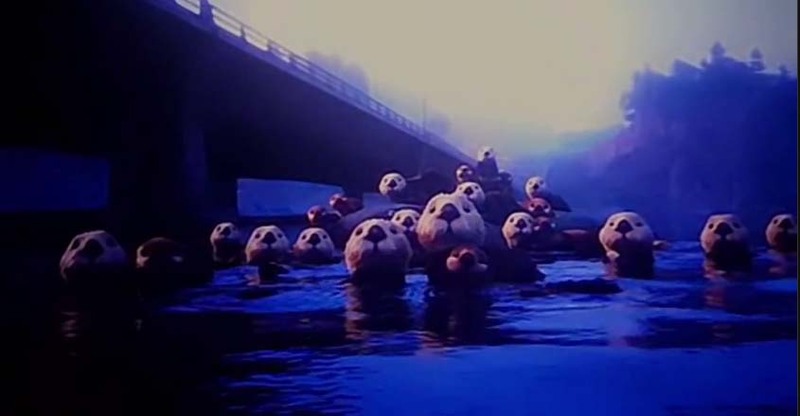 They are able to successfully make everyone forget in Wall-e so perhaps Dory is just the beginning of that process? 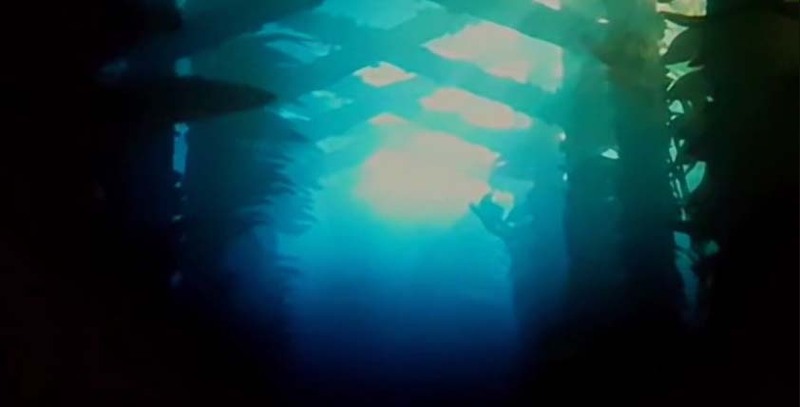 At the very least what if the beginning of the Axiom takeover is happening in America and the Marine Life Institute is proof of that type of control? Who knows Cleveland could be the home of the BNL corporation that creates Axiom? We know it is American and Fred Willard certainly has a midwestern voice. 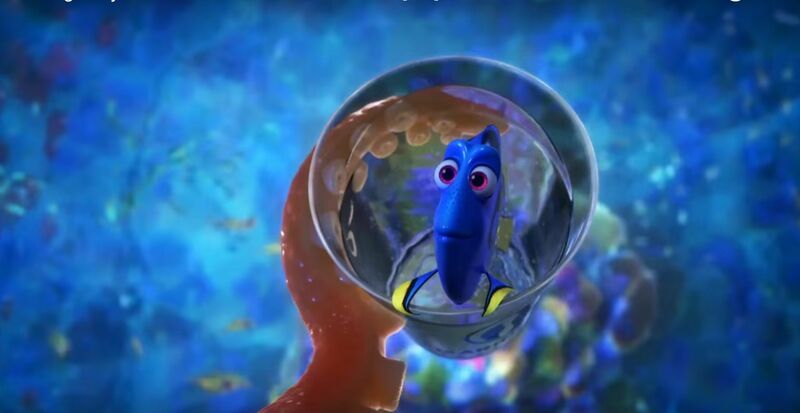 So could it be that Finding Dory is as much a prequel to WALL-E as sequel to Finding Nemo? That may be a stretch but it’s interesting to think about. It certainly adds a layer of thoughtfulness to all the jokes and enjoyable scenes. On another note, one of the things I loved about the film is the way it dealt with a special needs character. 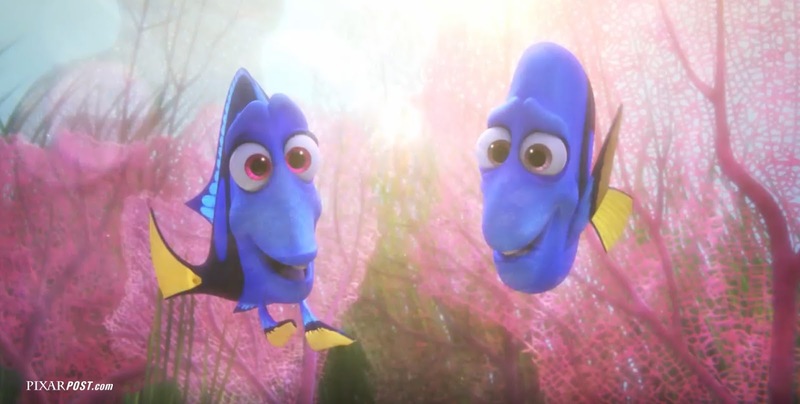 Marlin and even Dory’s parents acknowledge the difficulties of being with someone who has a disability. There is no doubt it is hard and I like they didn’t sugar coat that but the disabled also see the world through a different lens. We see that with Dory and with Bailey who’s unique vision helps save everyone. Marlin and Nemo even start asking ‘what would Dory do?’ What a great message for kids and families that just because someone is different doesn’t mean they are bad. 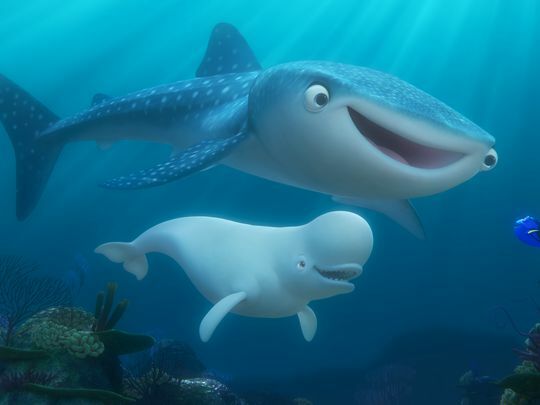 I can’t give a review of Finding Dory without talking about the stellar voice cast featuring returning voices Ellen DeGeneres as Dory who is perfect in the role and Albert Brooks as Marlin. Then as new voices we have Ed O’Neill as Hank, Kaitlin Olson as Destiny, Diane Keaton as Dory’s Mom Jenny, Eugene Levy as Dory’s Dad Charlie, Idris Elba as Fluke the hilarious sea lion and many more. They are all outstanding and like I said very funny. It also has to be said that Finding Dory is stunningly beautiful. The seascapes both in the aquarium and back in Australia are beautiful. I particularly loved a scene where the stingrays are migrating and they move along and sing like a men’s choir. And like I said Finding Dory is super funny and sweet on a surface level as well, so it’s got something for everyone! I hope this review showed you some new layers in Finding Dory. What do you think of the connections to WALL-E? What was your favorite part about the film? It’s a beautiful animated film from Pixar and one I will definitely be purchasing on blu-ray. PS. And notice how I got through this entire review without mentioning The Good Dinosaur once! (I love that movie btw). Really interesting – I didn’t make a lot of the connections you did but it’s a fascinating theory to see it connected to Wall-e. And even if not the whole concept that the place isn’t really rescuing and rehabilitating is an issue that it seems like the film almost glossed over. Great thoughts. I really liked your insight. Didn’t agree with all of it, but some great observations! Thanks. It was fun to try a different approach to a review. 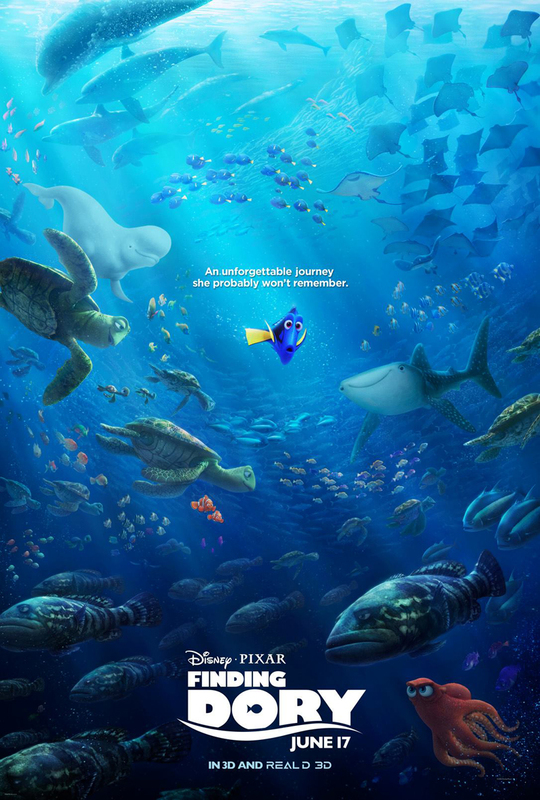 Pingback: The Art of Finding Dory Review | Reviewing All 54 Disney Animated Films And More! Pingback: Phantom Boy Review – Reviewing All 54 Disney Animated Films And More! Pingback: Storks Review – Reviewing All 54 Disney Animated Films And More!